Vinegar is used from thousands of years in different ancient civilizations in various forms. Nowadays, you can find dozens of different types of vinegar varieties you can use in your recipes. Some of these vinegar forms are quite sharp in flavor and aroma while others are quite mild. I've handpicked some of the popular and commonly used vinegar. I'm sure you've used some of them mentioned below in the list. My favorites are balsamic and apple cider vinegar. I use former in a lot of recipes. Few variants shown below are only available in select countries. 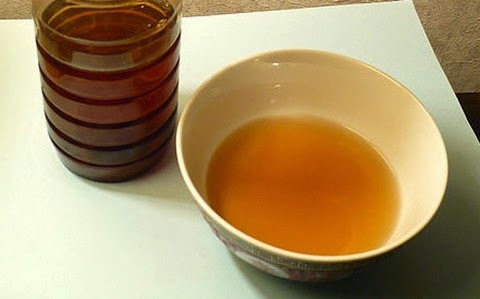 You should be aware that aged vinegar is always best and gives you the best result. So, let's see these vinegar forms you can use to add a kick to your recipes. 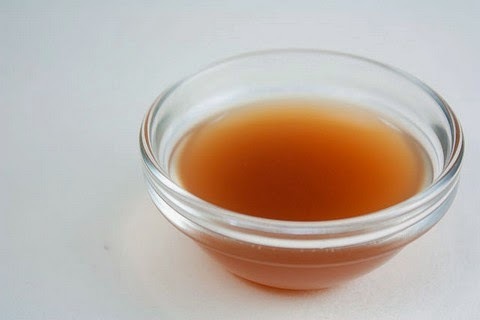 Apple Cider Vinegar - This popular vinegar form is used throughout the world in different and unique ways. It's quite acidic in nature and should be used in moderate quantities in a correct way. You can easily use it for chutney, sauce, vinaigrette, marinades and for flavoring different types of delicious recipes. I often use this vinegar in hot sauces and in sharp salad dressings. Make sure, you do not consume this vinegar in raw form as it is as it may cause burning sensation. Balsamic Vinegar - This is yet another extremely popular vinegar form used across the globe. Originally from Italy, this flavorful vinegar is now easily available worldwide. It is made in three different ways and each form has a pungent and sharp flavor. 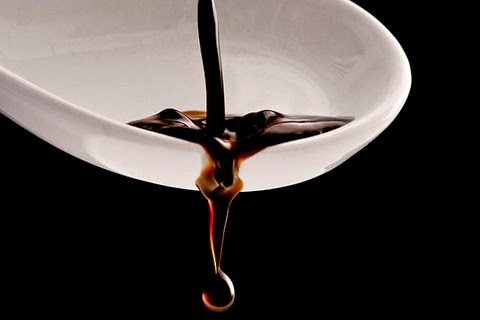 Traditional and authentic balsamic vinegar is aged for at least 12 years before it is used in recipes. It is generally used in marinades and reductions to flavor different types of recipes. I often use it with seafood and spicy meat preparations. Chinese Black Vinegar - As the name implies, this strong vinegar originated in Southern China and one of its primary base ingredients is rice. In some cultures, patients with high blood pressure and cholesterol are advised to include this vinegar in their daily food. It's also suggested that it has the power to prevent certain types of cancer. If you do not prefer balsamic vinegar, you can substitute it with Chinese black vinegar. It goes so well with spicy marinades and sharp reductions. 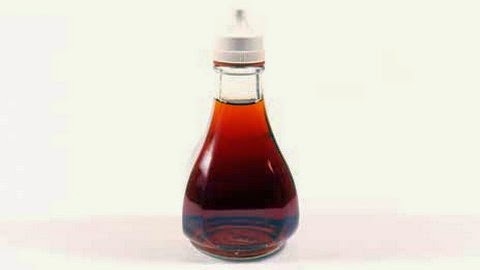 Malt Vinegar - This rich flavored vinegar is most popular in British cuisine and is often used with deep-fried recipes. One can also use it generously in reductions and salad dressings. It is one of the oldest vinegar types used for several centuries. Good malt vinegar is kept for a long time before it is available for general use. I rarely use it for grilled fish and chicken preparations. Malt vinegar comes in different forms and varies in flavor. Do once try this pungent and flavorful vinegar. 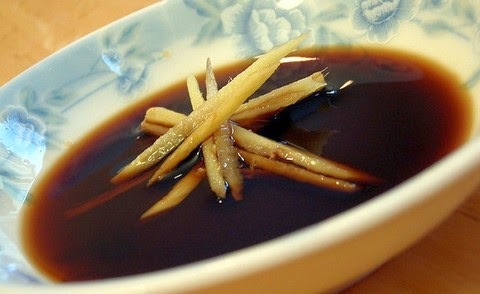 Rice Vinegar - This vinegar is more prevalent in South East Asian countries and mainland China. Naturally, it is made from rice and has a very sharp flavor. So, take care of the quantity while using it in your recipes. Like other popular vinegar forms, this one also has various forms. 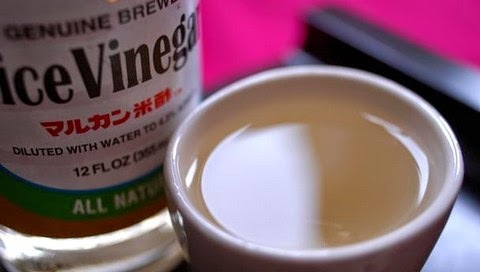 Japanese rice vinegar is comparatively very mild and light which can be used in select recipes. This vinegar is often used in spicy soups and stews to add the zing. I prefer the mild version of this vinegar. 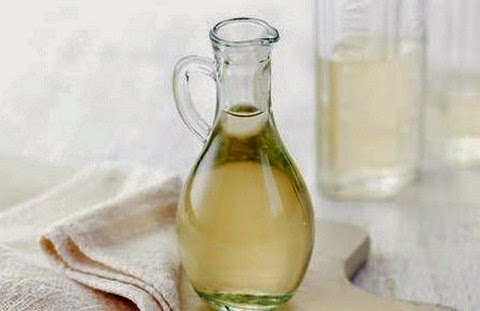 White Wine Vinegar - Wine based vinegar is more popular in Europe and Mediterranean region and is used in meat preparations. 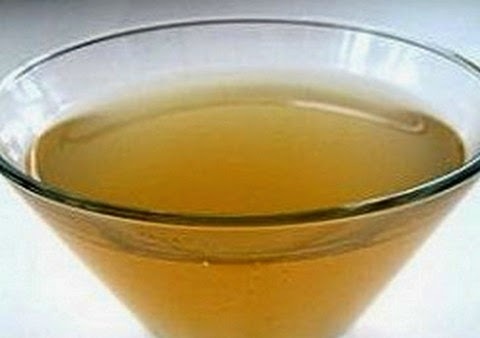 White wine vinegar has a long aging process and is well known for its pungency and flavor. People also use it in select pickles to increase the shelf life. I often use it in moderate quantities to flavor snacks and marinades. Homemakers also use it as a cleaning agent in the kitchen. It is often mixed with lime and onion juice to remove stains from clothes. Cane Vinegar - Made from sugarcane juice, this flavor-packed vinegar is one of my favorites. It has a long shelf life and comes in different forms. I prefer the light yellow version which is quite mild and induces a nice mellow flavor. Do try this vinegar in marinades and salad dressings. It is not that much popular and is used in select parts of the globe. You can mix it with apple cider vinegar or balsamic vinegar to get a unique flavoring agent. This sharp vinegar is definitely worth a try. 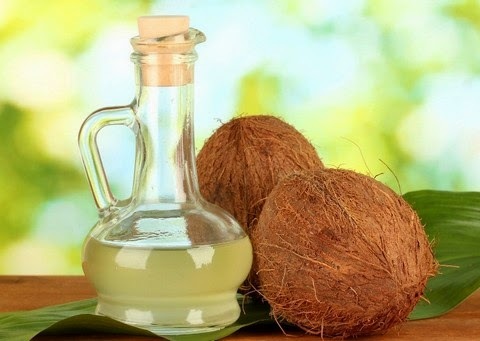 Coconut Vinegar - This vinegar is used in some parts of India and in some South Asian countries. It has a very sharp flavor and is used in low quantities. It's primarily used as a preservative agent in prolonging the shelf life of pickles and other similar recipes. It is also used in certain fish recipes in the southwestern part of Indian subcontinent. It is considered to have several health benefits as it is rich in various minerals and nutrients. I've used it once for making a fish recipe. 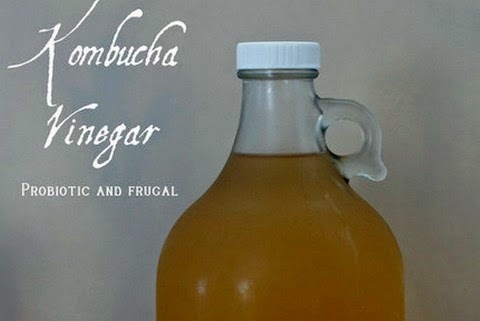 Kombucha Vinegar - This vinegar has one of the strongest flavors and is used in several unique ways. Apart from using it in salad dressings and in marinades, it is also used as a cleaning agent as well as a hair tonic. Like other vinegar forms, this one also has a very long shelf life. 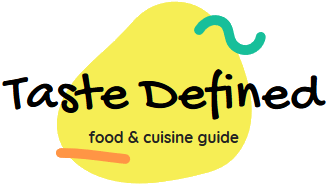 If you're using it for the first time, make sure you do not taste it in raw form as it is extremely sour in flavor. The more you age this sharp vinegar, the more it gives better flavor to your delicious recipes. Persimmon Vinegar - This fruit-based vinegar is originally from Korea and is slowly getting popular in other parts of the world as well. It is known to cure liver diseases though there is no strong medical evidence for the same. It is also known to reduce cholesterol levels in the body. In your kitchen, you can use it in dressings and in vinaigrette. It is also used in preserving fishes for a long time. It is also known to act as an antioxidant. Do once use this flavorful vinegar in your kitchen.